Missus was the last written in Ruth Park‘s Harp in the South trilogy, but is the first in terms of chronology. The first two novels, Harp in the South and Poor man’s orange, were published in 1948 and 1949 respectively, while Missus was not published until 1985. These first novels, which met with some controversy on publication, are set in early post-war Sydney, the tenements of Surry Hills, and deal with the lives of Mumma and Hughie Darcy and their daughters. Missus is set in the 1920s, in country New South Wales, and relates Mumma and Hughie’s youth and courting days. I have only just read Missus, partly because I read the first two in my teens which was, I have to admit, before Missus appeared on the scene. You can tell that the writer of Missus is the writer of Swords and crowns and rings (1977). The latter is larger scale – and deals more consciously with its historical time-frame. That is, it more specifically addresses the wars and the Depression, and their impact on the main characters. However, the First World War and the coming Depression do provide the backdrop to Missus. Both books depict rural life and characters with convincing realism. Now, the plot. For those who’ve read the first two novels, the interest here is not whether Mumma (Margaret Kilker) and Hughie get together but how they get together and who they are. The first chapter – after a brief introduction to the town of Trafalgar including how the early settlers cruelly despatched the indigenous inhabitants – introduces us to Hughie and his family. We meet his brother Jer (Jeremiah), who is born with “his feet back to front”, and we learn of the failure of his parents marriage, his mother’s early death and his being turfed out by his father when he was around 14 years old. Jer goes with him, and becomes both millstone and support from then on. Her chest ached as if it had a skewer stuck in it, but she tossed her head more often than she hung it. From here on the story progresses chronologically as Hughie moves around the countryside obtaining and losing or leaving jobs, while Margaret stays at home waiting for Hughie’s occasional visits. The characters of our characters, if you know what I mean, are illuminated by the actions of, or their interactions with, other characters. Margaret’s younger sister, the jealous Josie, provides an interesting foil for Margaret as well as an opportunity for Park to explore women’s lack of rights. Josie marries young – for the wrong reason to the wrong man – and the marriage fails. She’s intelligent and manages to obtain accountant qualifications, but her attempt to set herself up as an accountant in the town fails because no-one will use a woman accountant. Other characters include Alf, Margaret’s long-suffering but sensible aunt who works as a housekeeper for the local priest and who, at different times, provides shelter and monetary support for Josie and Jer; the Biddles (the mustard-gas damaged Joe and his common law wife) who take in Hughie and then Jer at one time in their lives; and the redoubtable Bids Tookey who … but that might give away what little plot there is. In just 250 pages Park paints a rich picture of 1920s life in rural Australia while at the same time developing Hughie and Margaret’s characters. Her characters are all flawed, some more than others, but she draws them with a clear-eyed warmth. She sees them for who they are but she respects them nonetheless. There’s no sentimentality here, but neither is it cynical or bitter. Her themes are universal ones: innocence and experience, familial and romantic love, deception and loyalty, most of it overlaid with that pragmatism that is necessary for survival in a hard place in hard times. As I wrote in this week’s Monday Musings, it’s not surprising that these books still resonate. In the unkempt garden bloomed freesias and grape hyacinths. 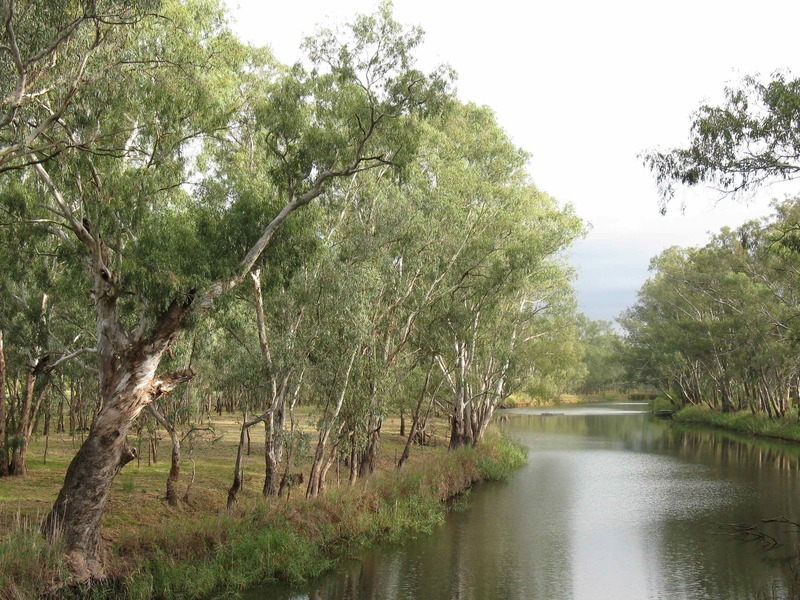 The eucalypt twig flushed red, the four creeks overflowed, lambs appeared on the hills, white as mushrooms and as sudden. ‘Them two had better wed quick,’ said Eny ominously, ‘or I won’t answer for Margaret’. Having read ‘Harp in the South’, I guess ‘Poor Man’s Orange’ is next for me. Well, you’ve read the middle one in terms of chronology so you have the option of going forwards or backwards! But, as you’ll have read, I read Poor man’s orange next (particularly given Missus hadn’t been written at the time) and it did me no harm!! I’m reading the trilogy in chronological order. I’m a few chapters into ‘Harp’ and I was googling to see if Jer is mentioned in the other two… I guess I’ll have to keep reading to find out. I wanted to know what happened to him. You will, Renee! I hope you keep enjoying the trilogy. Oh, and thanks for popping by. Let us know what you think when you’ve finished. Welcome Katrina … unfortunately though, as far as I know, the chronological sequence ends with Poor man’s orange. If you like her writing though, you might like to read her book, Swords and crowns and rings. It a great saga covering a few decades of early to mid-20th century Austrlalia. Oh thanks for telling us Naomi. I’m so glad you loved them. A friend recently read The harp in the south for the first time but didn’t like it much … I was really surprised. Anyhow, which order did you read them in – the chronological order, or the order in which she wrote them? Hi there! Silly me! I read them in chronological order as when I bought the ebook it wasn’t clear to me they were deprecate books. I thought they were different parts so I read all 3 books as though it were one! In all that reading I have missed what became of Hughies borther Jeremiah. Can you tell me or in which book wld I find the answer? Cheers Naomi. And oops that was meant to say ‘separate books’. Darn auto spell! Oh don’t you just hate that auto-correct that you don’t notice! Never mind, we would have worked it out I think though the auto-correct sometimes does its darnedest to fool us doesn’t it? Oh dear, Naomi … no I can’t I’m afraid. It’s so long since I read the first two. Missus wasn’t even written when I read them, that’s how old I am! I wonder if she does follow up on him? Anyhow, maybe someone else reading here will notice your question and answer it. I am careful about the images I use in this blog. Some of them are my own, some I've specifically obtained permission to use from an owner, and some book cover thumbnails are used under fair use provisions. However, I have used others under Creative Commons (and similar licences) when the owners have indicated on their sites/pages that they release their material under such licences. Where possible, I have tried to properly attribute the owners/creators of uploaded images. If you think I have breached your copyright in any way please let me know. This work by Whispering Gums is licensed under a Creative Commons Attribution-NonCommercial-ShareAlike 3.0 Unported License.